With the harvest season in full swing and the beautiful Wisconsin foliage turning colors, is it no wonder that I had such a fantastic time visiting a cranberry bog? Actually, it’s called a ‘marsh’ in Wisconsin, on the east coast they are called bogs, but I was told the words are interchangeable, they mean the same thing, so we’re going with it lol. 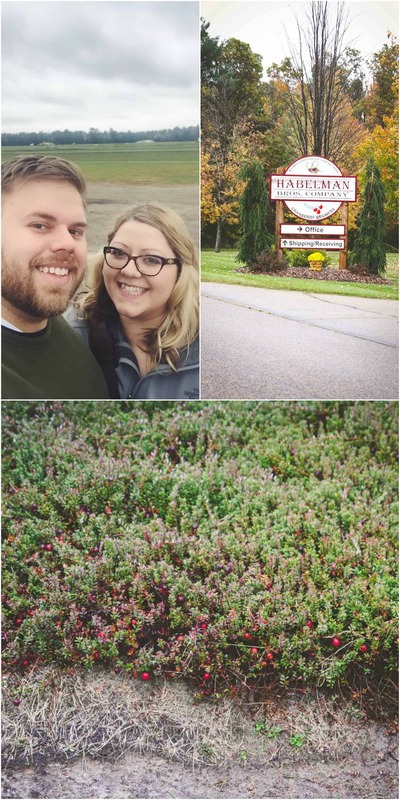 If you read the steak tacos with cranberry salsa recipe post, you would know that I had the amazing opportunity to visit a Wisconsin fresh cranberry farm. Today’s post is going to be a picture story of my trip with some light commentary. 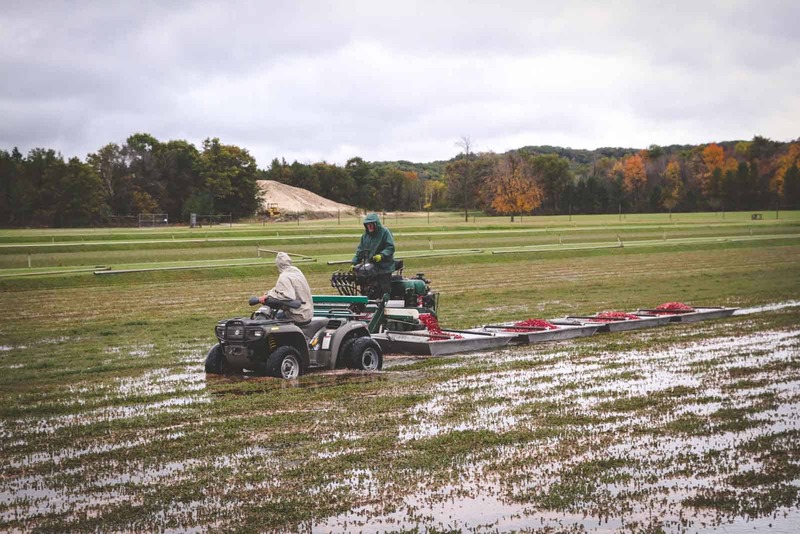 If you’d like to learn more about the specifics of how cranberries are harvested, please visit the Wisconsin State Cranberry Growers Association. 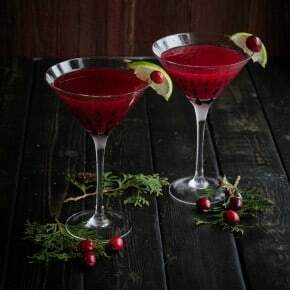 Cranberries are grown on a vine, in the ground, they’re perennials. Meaning, a vine is planted and then it comes back year after year! Vines last upwards of 100 years. 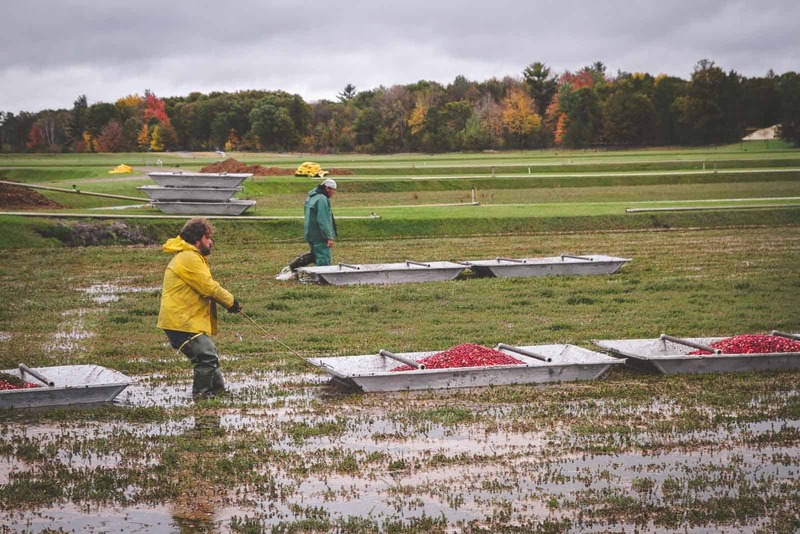 Fresh cranberry harvesting starts by flooding the cranberry beds with 6-8 inches of water. Cranberries float, but do not come off the vines, so they bring in harvesting machines that gently comb the cranberries off the vines. 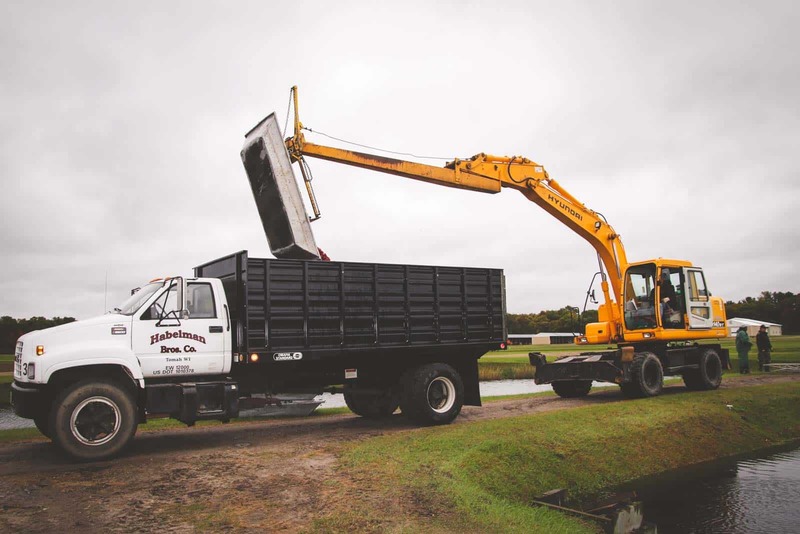 The berries are put into silver tubs, which are then brought to the edge of the marsh where they’re picked up by a truck, and transported to the processing facility. 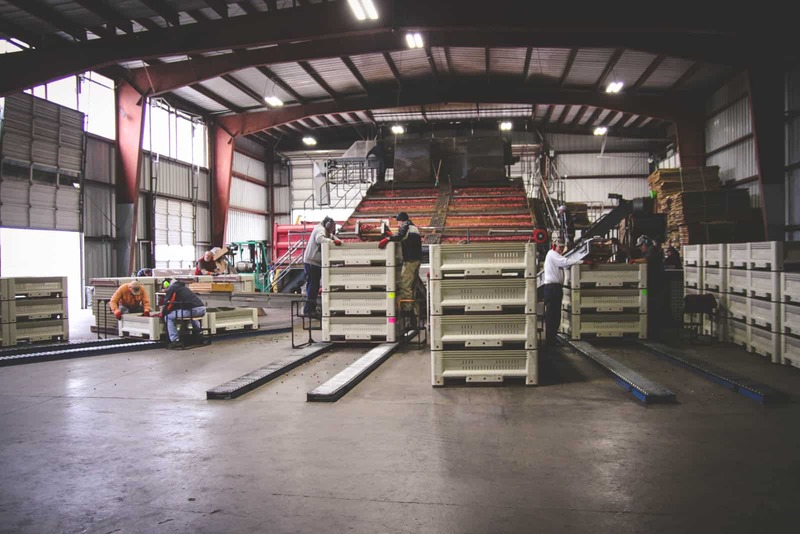 After the cranberries are transported to the processing facility, they get air dried and stored until they are ready to be bagged. 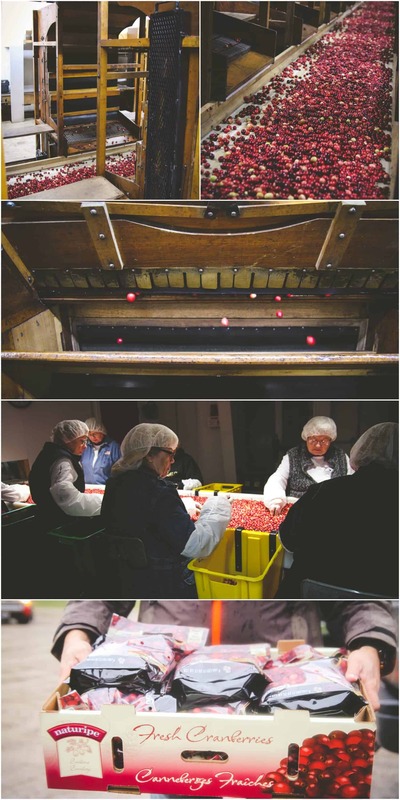 When the cranberries are ready to be bagged, they go through a whole series of very neat steps, which involves putting cranberries through a ‘bounce test’ the ones that bounce move on to get processed, the ones that don’t bounce are considered not suitable for bagging and get filtered out (to be used in juices/concentrates, etc). The cranberries then go through uv lights and then through a room where any bad ones that remain are hand picked out. 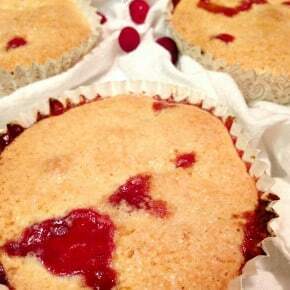 The cranberries are then bagged and sold in stores! 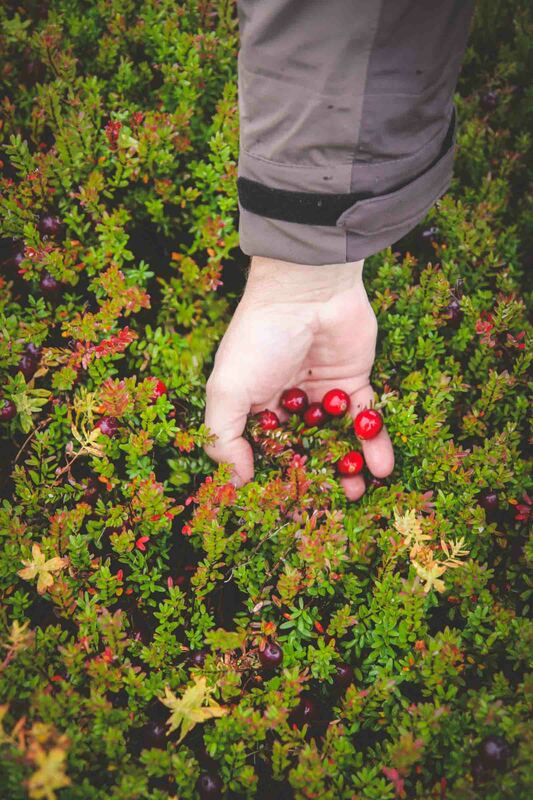 Hope you’ve enjoyed this picture tour of my visit to a cranberry bog! What an amazing experience! 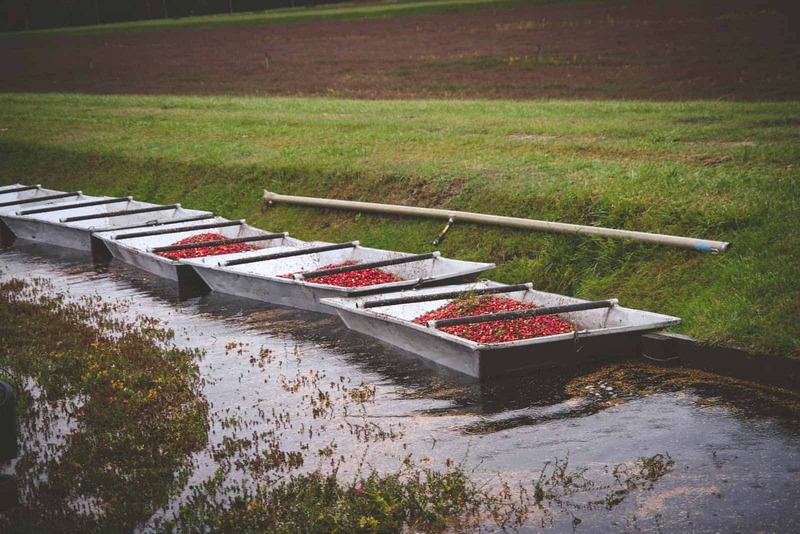 I never knew exactly how much work went into harvesting a tiny cranberry! You got some amazing pictures too – thank you so much for sharing! 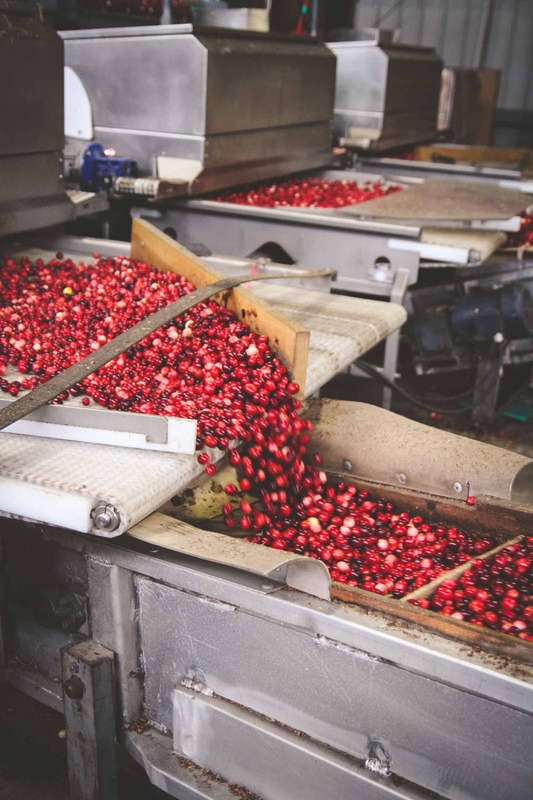 Isn’t it amazing how much work goes into harvesting cranberries? I was so surprised as well. Thank you for your lovely comment. Photographs look just awesome in this cranberry bog. Thank you for sharing! My parents just brought me some fresh cranberries from their travels through Wisconsin. So excited to try them! 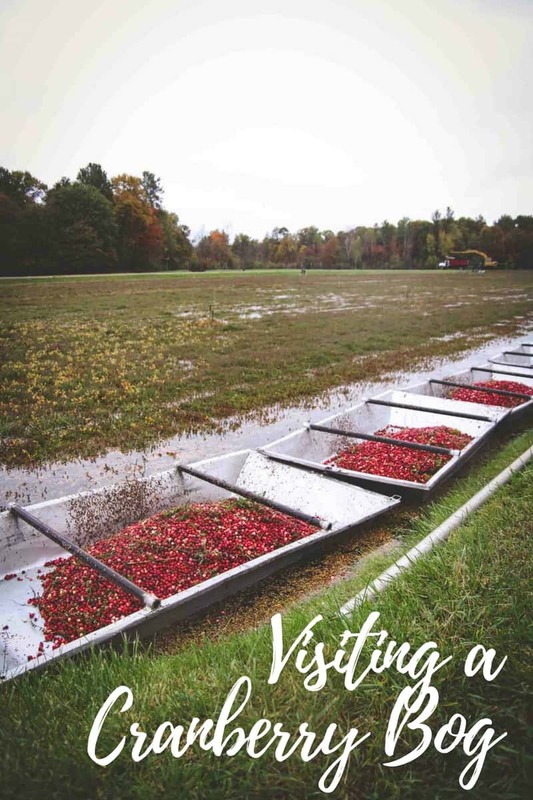 I’m so glad you enjoyed reading about my tour of a cranberry bog – it was really neat!